Hutch's Shoulder wrote: I was at Wembley last year but this year I shall be watching it in St Petersburg, on a holiday booked long before the fixtures came out. Its a 19:30 kick off there, so plenty of time to find a bar I hope. The one in Florida right, opposed to the freezing one?? I'd rather go to the freezing one , Florida just has sunshine . Cant make this year, need all my spare cash for a new car since I got twatted up the arse early January. Yes it is Leningrad/Petrograd St Petersburg I am off too, will be watching with Vladimir's pals. Snow at our level has just been washed out by that storm passing over from the UK today , going to get windy too . Glad to see HS is going east , must be a lovely City to visit. 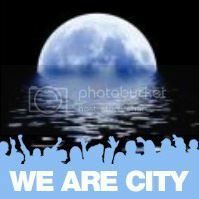 CTID Hants wrote: Cant make this year, need all my spare cash for a new car since I got twatted up the arse early January. Didn't know it worked like this, I'd have assumed two qualifying purchases would mean you could buy two tickets to the final. Phone the club. They might look upon your situation favourably. I did try but no dice I'm afraid. Seems annoying that there are still hundreds and hundreds of tickets for sale but I can't buy just two of them. OK thanks, I will check with him and ask the club again. As I understood things though the supporter number needs to have had a qualifying purchase made (i.e. a match ticket or tickets) against it. It would be a shame if we don't get to go, Wembley is a lot closer to use than the Etihad and neither of us has ever been there to watch any game, never mind City in a final. All of those tickets for sale but I can only buy one because I didn't realise how the system worked. You should have left your DOB as it was and got a concession ticket. That's the spirit, love it! We're going! Had a word with the club again, got it sorted. Block 230, row 8 CTID. budfox wrote: We're going! Had a word with the club again, got it sorted. Good man, so he does have his own supporter number then? Well he is registered on the website and therefore I assume he has a supporter number. The trouble was that just having a supporter number isn't enough, you need to have made a qualifying purchase against it. I've got qualifying purchases against mine, which included tickets for him. I explained that had I known the rules I'd have bought individual tickets under each number and the nice chap at the club agreed.